Wow! Miss Celeste is one! ONE! How on earth did that happen?! My little Miss has switched on enough now to know when there's a good thing on the go. Especially where food is concerned! 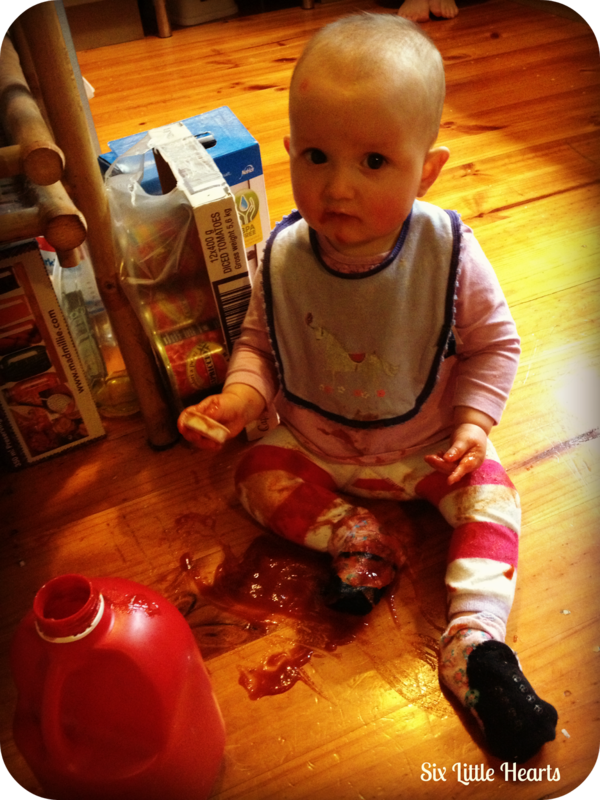 She's no longer content to slurp away on just Mum's home made concoctions when she can see others enjoying delights such as biscuits, lollypops and chocolate. 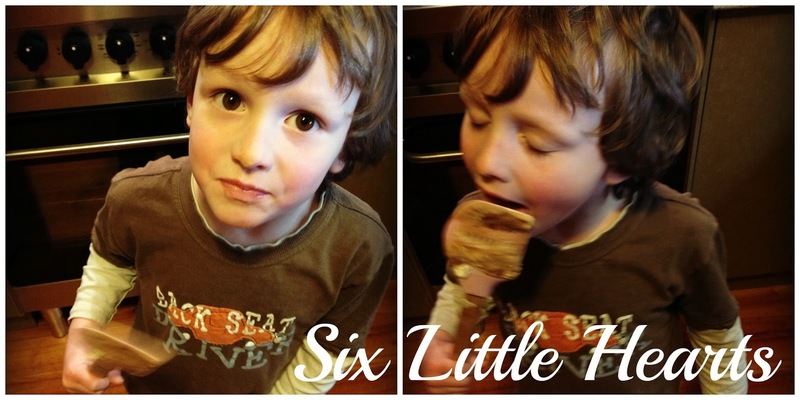 There's tons of exciting looking foods going down when you have five older siblings running around you all day. 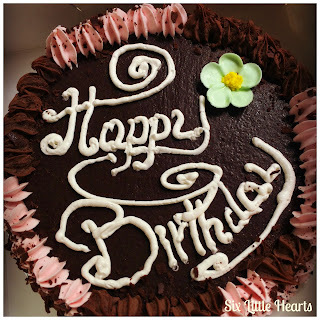 I bought Celeste a chocolate mud cake for her birthday. Not the very best choice for a little baby girl but it was the only cake that seemed suitable at the bakery - plus it had pink bits on it and definitely looked feminine! 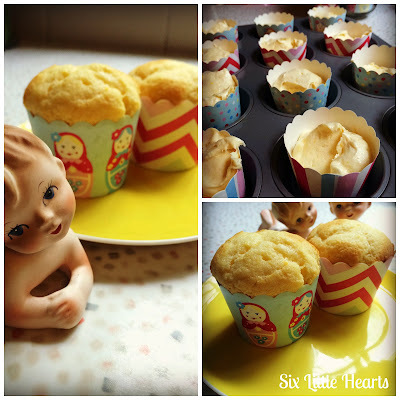 When I got home I sort of did a double take on it and thought I would add to the festivity and bake some simple cupcakes to delight the kids. My intention though was to pass a cupcake to the little Miss instead of a serving of her very rich bought cake. The rest of us would enjoy that. I have this little cupcake recipe which is so plain and simple. It has no complicated anything about it and you can vary it any way you like. Add a teaspoon of lemon or orange rind to flavour them rather than the vanilla suggested. Even try almond essence. They are every chef's basic so decorate them as you please too. I have left mine undecorated as I think my kids have enough sugar in their day to skip it in this instance! 125 grams of butter (I use margarine as I don't like the taste of butter)! Beat butter, essence and sugar until light and fluffy. Beat in the eggs one at a time. Fold in flour and then add the milk. Spoon portions into patty pans in a tray of your chosen size - makes enough to produce 12 regular sized cakes or 24 minis. Bake for 15-20 minutes keeping an eye on them towards the end. 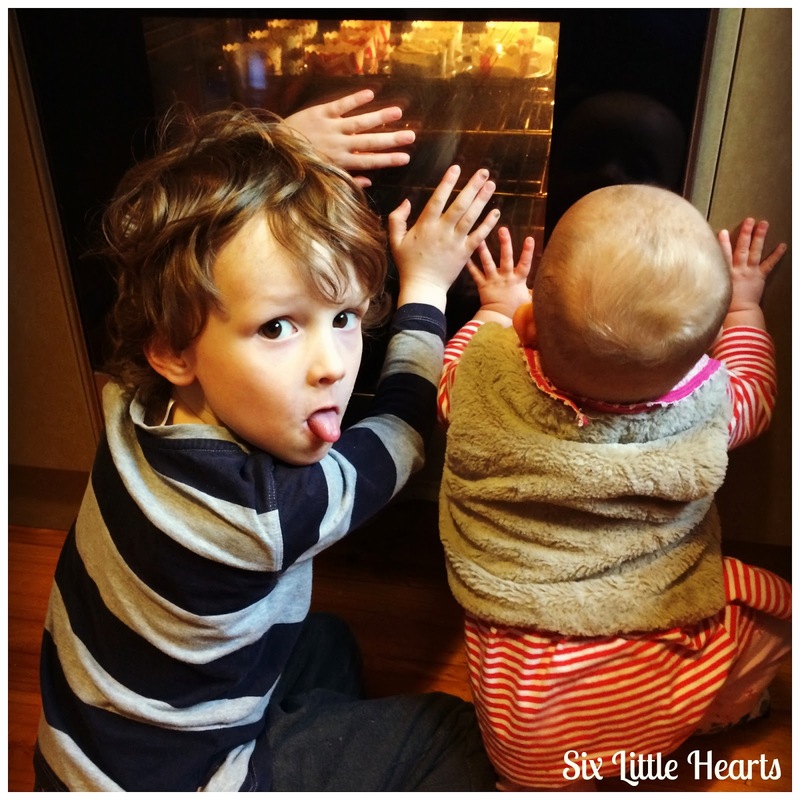 Baking time varies depending on the size of your cakes. Cool in the pan for 5 minutes before popping cakes onto a cooling rack. Ice when completely cool and decorate as desired. Vintage piano babies from my collection of 1950's Napcoware. I collect these little stunners - they are SO cute! Festive paper cupcake cases from Robert Gordon's Patty Pan Pantry range. These are my go-to cupcakes. The ones I rely on when one of the kids has a birthday and wants to take something to school or kinder to share. I usually ice and decorate with a lolly that reflects the event. 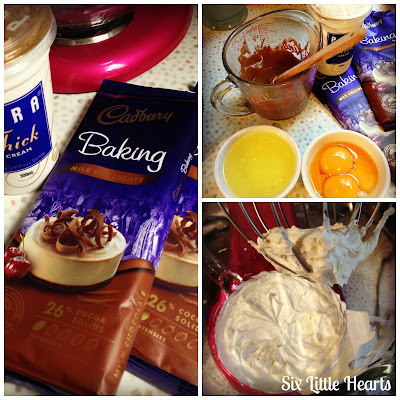 At Christmas time I ice them in white and use Jaffas and mint leaves (Holly) to make a Christmas themed cupcake. What is your go-to favourite? 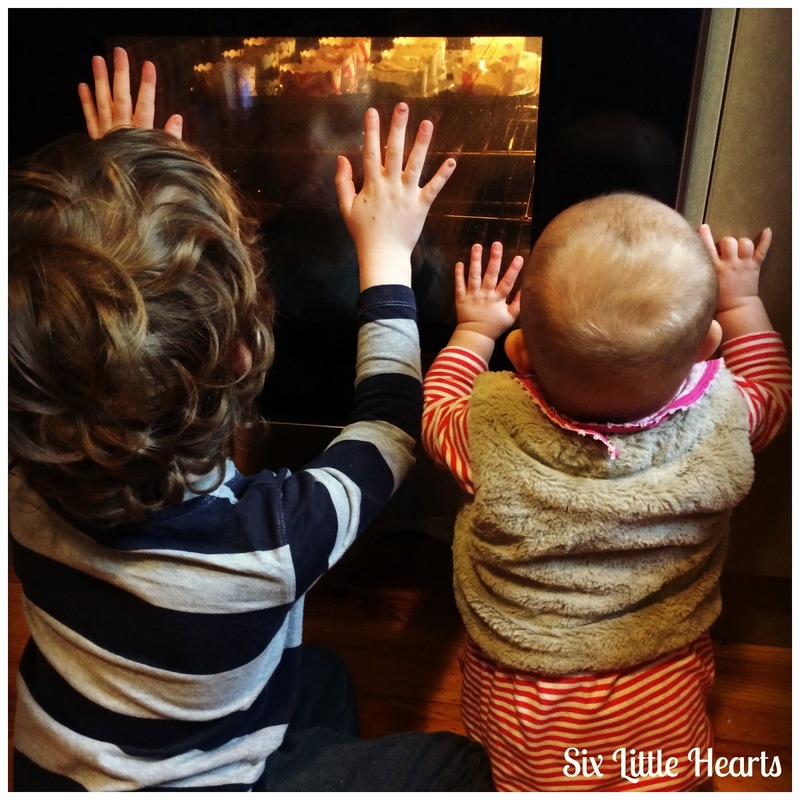 - Do you have a recipe you rely on for celebrations? 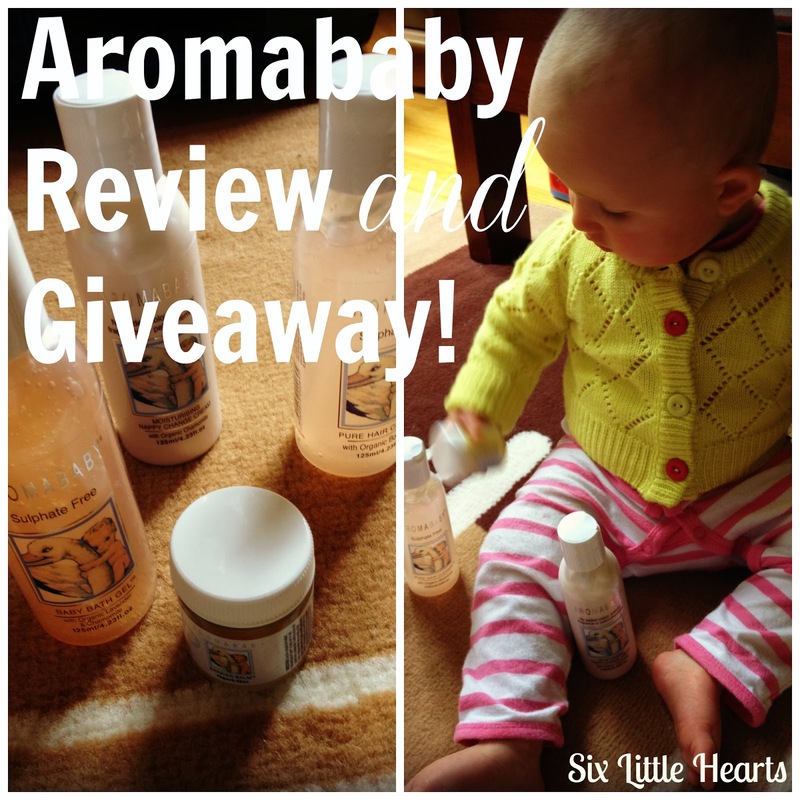 I must say I am quite chuffed to bring you this review of Aromababy's products. When I was pregnant with my first child, I completed a Diploma of Aromatherapy (I am a qualified Aromatherapist) which I had been studying part time while I worked. Learning the powers of plants made me a bit of a fragrance snob in the process. I became very picky about scents and products containing them. (I was also violently ill with nausea in my pregnancy and couldn't handle many smells without severe consequences)! I learned to understand and appreciate natural ingredients and the chemistry within them that made them valid choices. Pregnancy made me even more careful about my body and the environment so I made the switch 100% to natural goods and organic foods as well. Thirteen years ago when my daughter was born, there were very few natural products on the market and it was really only just becoming fashionable to use such things. I purchased my first jar of Aromababy's Barrier Balm at Myer when my daughter was just a few months old. From that first purchase I have been an Aromababy fan since and have continued to use these lovely products on all six of my children! (Who'd have thought there would be so many)! Aromababy the company was founded in 1994 in Melbourne by Catherine Cervasio, a qualified Aromatherapist, infant massage instructor and Mum of two. 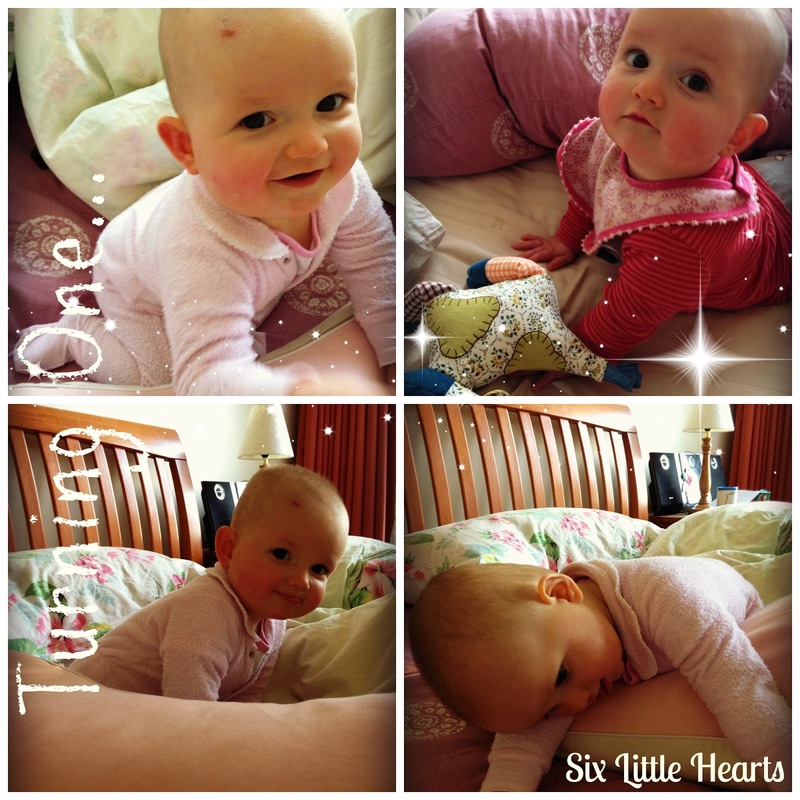 The company focus is centered on the formulation of entirely natural products for Mums and babies. Importantly, ingredients are all natural, organic and formulated and manufactured from start to finish in Australia! 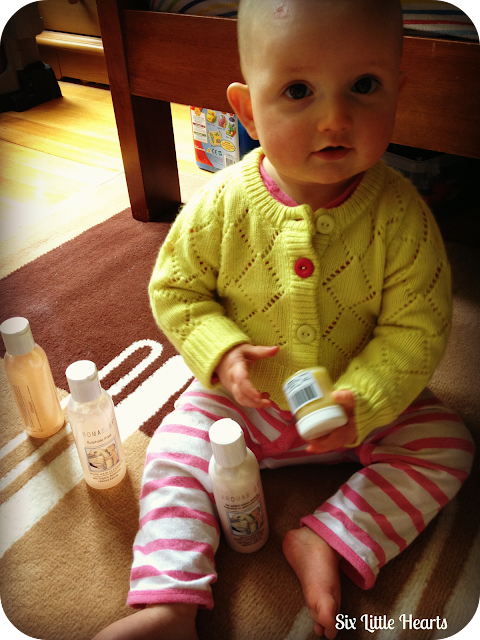 All Aromababy's products are pure and pesticide free and 100% organic where possible. They contain no petro-chemicals, parabens, sulphates or propylene glycol. 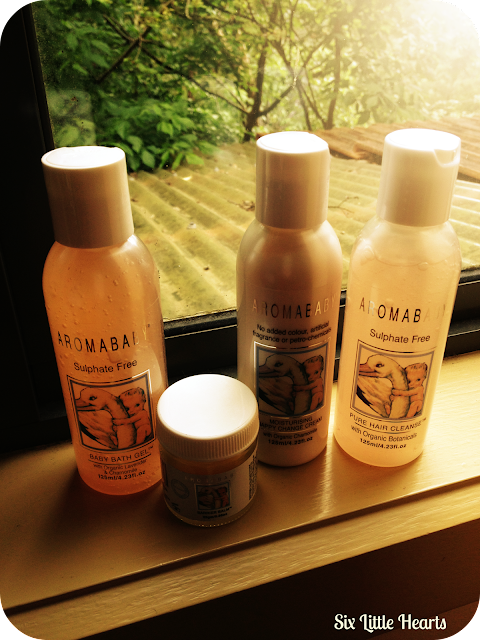 There are no animal ingredients, no animal testing and Aromababy is accredited with Choose Cruelty Free. If that doesn't impress you enough, there's the products themselves. They all smell divine and contain the very best of the best. Oils such as sweet almond oil and essential oils such as rose for example, are very expensive and fine ingredients. Believe me when I say these products contain premium constituents and are about the best you can buy for your babies. 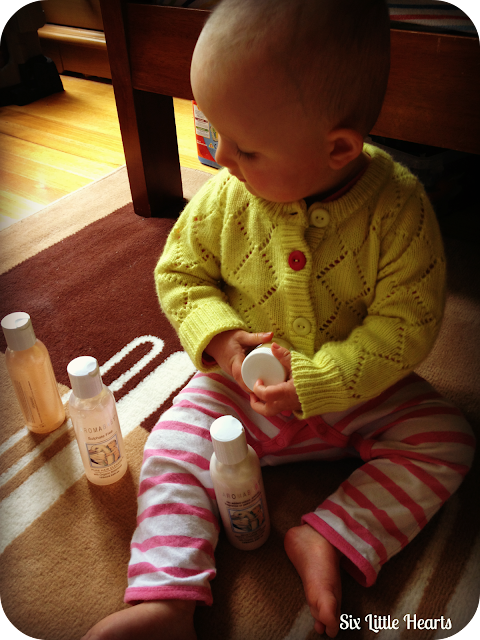 Miss Celeste (11 months), is my little Aromababy product tester. Presently she is eczema free. I say presently as I have several kids who suffer from eczema. Usually breastfeeding prevents it until the week they are weaned and then it appears literally overnight. I know I can rely on this range if she does have the misfortune to develop this skin condition down the track. We were sent a beautiful giftpack of products to review. Celeste set about trying them out immediately! 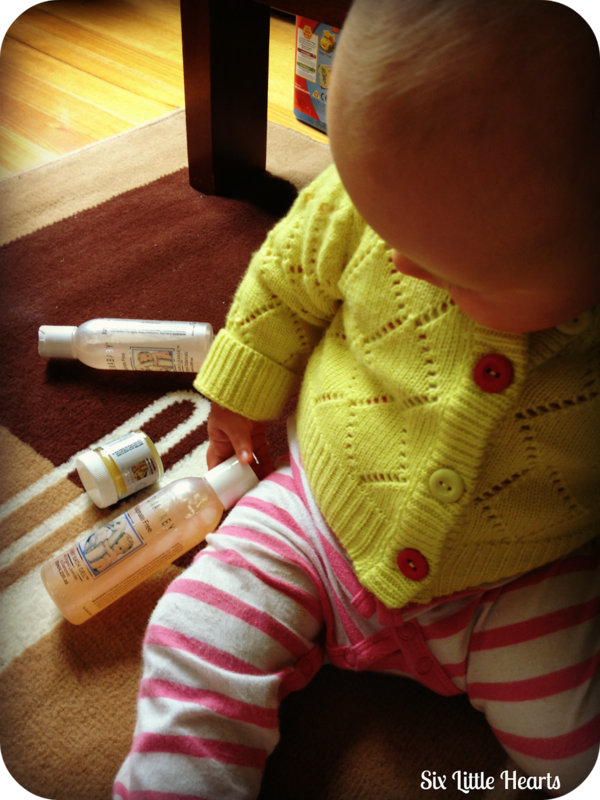 For her hair: Aromababy's Pure Hair Cleanse with Organic Botanicals. This shampoo contains orange sweet essential oil and has been a favourite of mine for years. It adds the lovliest scent to a baby's head! I can't bear products that disguise that fresh cookie scent of a baby. This divine cleanser actually adds to that baby scent. She smells so sweet after a wash with this that I can't stop sniffing and cuddling her and that can only be good! Next, Baby Bath Gel with Organic Lavender and Chamomile has been another staple in my nursery over the years. This bath gel has a lovely texture that melts into a bath releasing a beautiful lavender scent. Never overwhelming and gentle on the skin (including my hands). Again Celeste was just delicious to inhale during and after her bath! Post bath we used Moisturising Nappy Change Cream with Organic Chamomile. Beautiful! Perfect for removing residues that wipes leave behind. A great mosturiser for little bottoms and can be used all over. Lastly, one of my favourite items - the Barrier Balm. Small but powerful! This little potion is perfect for dribble rashes, teething rashes, eczema, dry skin, nappy rashes and so on. It contains calendula which is a superb healing agent. The texture of this balm is light and perfect for many uses. It can fit in your bag or pocket easily and works really well to heal stressed or damaged skin. 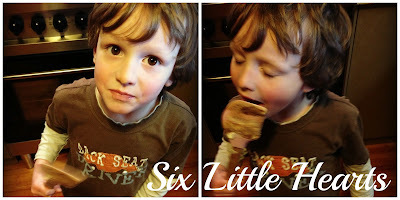 (Makes a great alternative lip balm for Mums too)! If you haven't yet tried Aromababy, you can find it at Myer, quality maternity and childrenswear boutiques, Coochicoo (Vic), Bubs Babyshops (QLD), most major pharmacies, healthfood stores and premium organic stores throughout Australia. You can reach their website here. To enter, simply follow the prompts on the Rafflecopter App below. (App may take a few seconds to load). Winner notified via email and given 48 hours to respond. If no response within that time, a new winner will be drawn. Winner's details will be forwarded to Aromababy for prize distribution purposes. Have you tried natural skincare products on your children and treated conditions such as eczema successfully as a result? Please share some comment love below! This is a Sponsored post for Goodyear Autocare's Women With Drive Program. Lately I have had a list of things to do which seems never ending. One of the must do's has been stressing me above all others. It's to do with my car's maintenance. I have been staring at semi-deflated tyres on two of my wheels for a month now. I have asked my Husband several times to make the trip to the servo to pump them up. This week my wiper fluid ran out and now I am nagging about that too. Both are small jobs but vital for the safe performance of my car. In all fairness, my Husband is also dealing with his own extensive list of to-do's and he will get to it eventually. Stupidly, I know zero about car maintenance and therefore rely entirely on my man to maintain my vehicle for the simplest of affairs. If I am completely honest, I will go as far as admitting that I do not even know how to open the hood (or is it called a bonnet)?! I know there's a button thing somewhere to do it but...that's men's stuff right? As for the wiper fluid, well who knows where I pour that and if I were lucky enough to find the right place - how much do I put in? I recently discovered a spare tyre compartment in my boot as well as a nifty little tool kit to fit it and I was oh so excited about that! (Until Hubby told me this is a standard thing in a car)! I am terrified of the air pump at the service station as I am truly scared that I will explode my tyres and blow my head off if I use it incorrectly. The list of fears, failures and apprehensions goes on. I was paranoid that these vehicle maintenance avoidance issues were limited to me until I became aware of a FREE program run by the good people at Goodyear Autocare specifically aimed at women such as myself. The program is called Women With Drive and you can visit their website here. Research apparently shows many women are avoiding simple vehicle maintenance tasks through lack of knowledge. Phew! Now that I know I belong to an entire group inept at car maintenance I feel so much better! I was really thrilled to be invited to attend one of these workshops. Not only was it incredibly informative, hands-on (if participants wished) and comprehensive, it was also highly enjoyable. The night kicked off with the very friendly team at the Goodyear Autocare centre in St Kilda, Melbourne. We were introduced to topics such as recognising when tyres are worn. We learned how to check and change oil and transmission fluids and how to locate a spare tyre and use the tools which come with it to actually change it. We were invited at every step to take on the challenge of DIY, ask questions and seek advice. The whole team of mechanics chipped in. We were divided into groups to ensure we all got a fair go at everything we should know to keep our cars running in top condition. Checking oil levels on the dipstick - even I can do this now! Belts, electrics, hoses and brake pads - everything was covered. We were taught steps to take in the event of roadside difficulties. We didn't walk away qualified mechanics but we did gain a good knowledge of the workings of a vehicle and how to maintain it between services. 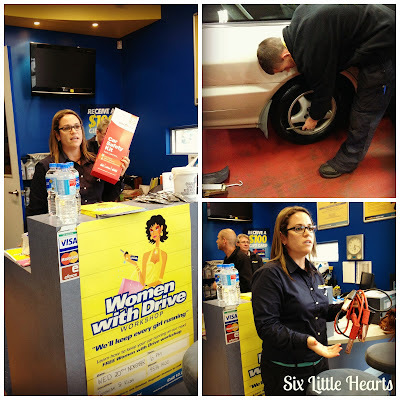 The Women With Drive program is a nationwide initiative by Goodyear Autocare. There are around 40 stores across Australia which are to host the event between November 2013 and June 2014. There's bound to be one near you. While these events are entirely free, participants are asked to make a donation of any amount to the Ovarian Cancer Research Foundation (OCRF) at the time of their attendance. 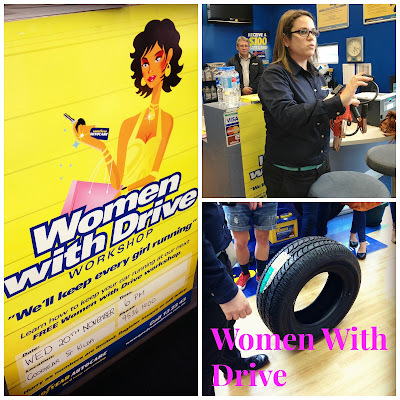 Goodyear Autocare are seeking to raise awareness and funds to aid the OCRF to create a life saving early detection test through their Women With Drive program. It's a winner for all involved and having completed the program, it's one I can also highly recommend. The program runs for an hour but expect it to go a little longer with the many questions and DIY attempts from participants. To register your interest in a Women With Drive event, visit Goodyear's website here or head to their Facebook page here. For handy car-care tips head here to visit their YouTube site. It's a great community service which I found to be fun and informative and your attendance benefits a great cause. I have walked away with so much knowledge and certainly less fear of maintaining my vehicle. I even know how to open the bonnet now! Make sure you check it out. 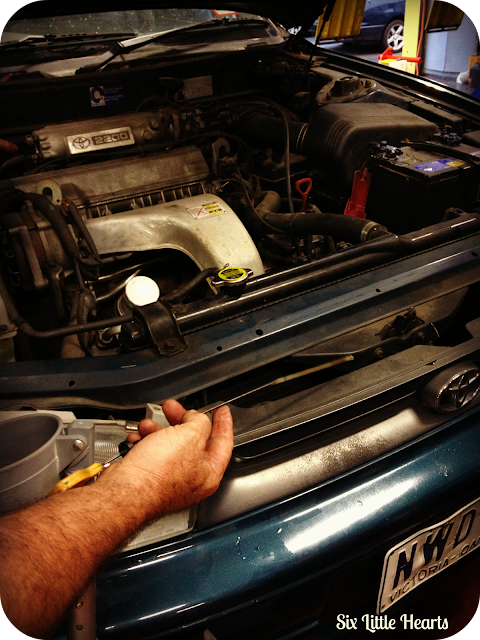 How confident are you at maintaining your vehicle? Do you have crazy car-care fears like mine? Miss Celeste will be turning one on November 29. How fast her first year has flown. In some ways it has also passed slowly. Celeste was born at 36 weeks. I had antibodies from a previous blood transfusion so they wanted her out early. She was considered premature. Having never experienced a premmie, I did not think a few weeks would make such a difference. It made a dramatic difference. It was rough days early on with struggles to gain weight, severe jaundice (an outcome of my antibodies) and breastfeeding difficulties that plagued us for the first 8.5 weeks. (Yes, I remember it was exactly 8.5 weeks)! Prematurity is a lot of work and I can only imagine how difficult and stressful babies born weeks earlier than her must be. Suddenly, overnight our issues resolved. Celeste thrived, jaundice faded and breastfeeding with its multiple issues, rectified miraculously. It was time to relax and enjoy her. I have enjoyed my number six baby so much! Cuddly, funny, cute, cheeky, naughty, sooky, clingy, brazen, coy. So many little glimpses of her have flashed up before me these past 11 months. Lately she is becoming a little more than a baby. She likes to slap me in the face when she's breastfeeding! She also hits, punches and pinches me. (Perhaps influenced by the older children). There's always a knowing little look on her face when she's doing it. She enjoys wiping her nose and mouth on my clothing. She's loves seeing those wet patches she creates and has quite a fascination for them! She has discovered her leggies. When I support her she bounces on them before bending in two to check them out in action with lots of pride on her face. She's pulling up on the sofa. Crying and then trying all over again in a never-ending cycle. My favourite age is now. I love the 0 - 18 months age group. The relationship between a Mum and baby is so special at this time. There's nothing else like it in life ever again. I adore seeing a baby read a person's face to gauge a reaction, experiment and play. 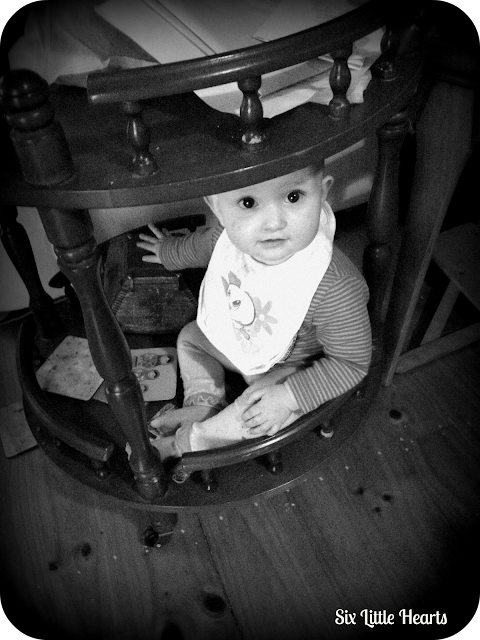 Right now we are planning a special outing of some kind for her first birthday. What age did you adore most? 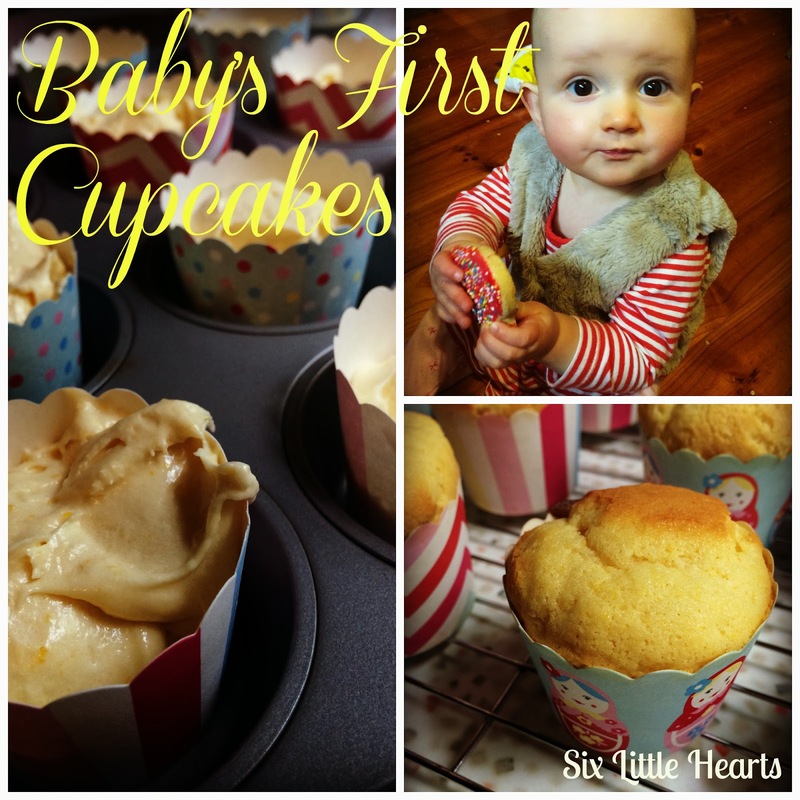 What did you do for your child's first birthday? (I need some inspiration)! Mmm! Who isn't into chocolate mousse? Well my daughter isn't surprisingly but that's just good news as now there's more for me! It's been years since I have made this or eaten it. Here's a dessert which is simple to prepare and worth the effort. You probably already have everything you need in your fridge and pantry. This doesn't make a huge batch so if you intend it to be for more than 2-3 people (or 3-4 smaller serves), I would double the quantities. Having said that it is very rich and you should really only serve yourself a small portion anyway! 75-100 grams of good quality cooking chocolate (I used Cadbury in this recipe). 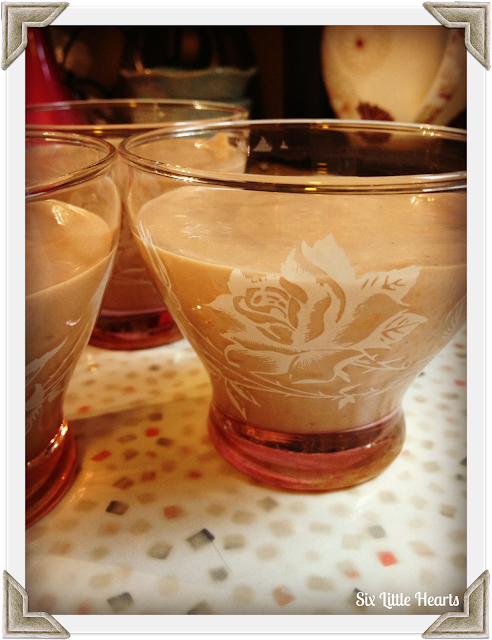 Optional: rum, brandy (the alcohol) or peppermint essence to flavour the mousse as you wish. (I didn't use it but it's a nice twist). Break the chocolate into small pieces in a medium sized bowl and melt it gently over a pot of hot water or microwave according to packet directions. Take care if doing the latter as chocolate melted in the microwave can become a ruined, hard lump if it is not watched closely. (I microwaved mine on 50% power for 2 minutes before stirring and returning for another 1 minute on 70% - perfect). Remove the melted chocolate from the heat and stir in the 3 egg yolks. Whip the cream until stiff and fold into the chocolate mixture. (Add a dash of alcohol at this stage if desired). Lastly, whisk the egg whites until stiff and fold this into the chocolate mixture well. Vintage rose dessert glasses - a fabulous find at my local Op-Shop! 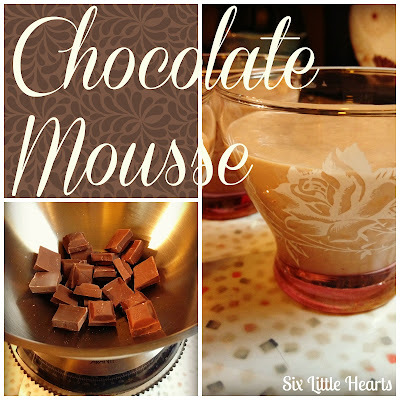 Pour your mousse into attractive dessert bowls or glasses and refrigerate for approximately 2 hours. Decorate with grated chocolate, berries or cream (whatever you desire) just prior to serving. 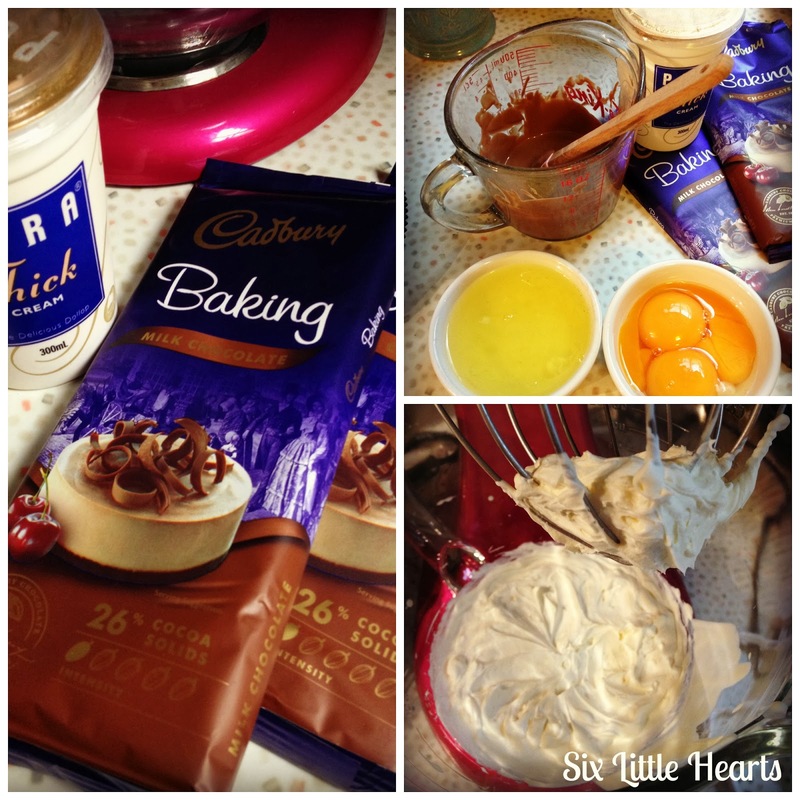 Bloggers, I am thinking of hosting a chocolate recipe link up - old or new posts welcome. So many chocolate lovers out there and it would be great to have some new things to try in the one place. Please let me know if you'd be interested in taking part by leaving a comment below. This recipe featured at Domesblissity! I have a teenager now. My eldest, Indiana, is officially 13 going on 17. My daughter has always been my testing ground given that she was the first of my babies; my introduction to motherhood. 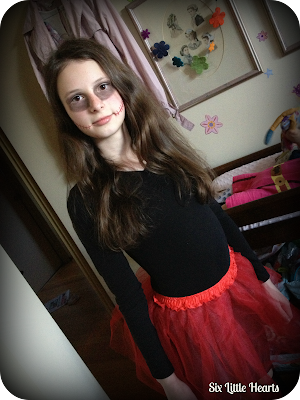 Indiana dressed as a Zombie, Halloween 2013. When she was little, I was very much a control freak. If she made a mess of her toys, my blood would secretly and quietly boil while I kept a happy exterior. I would gently coerce her to clean up and failing that approach, I would suggest, then bribe and in (failing) extremes, get angry until the offending mess was restored. I really hate mess and always have. 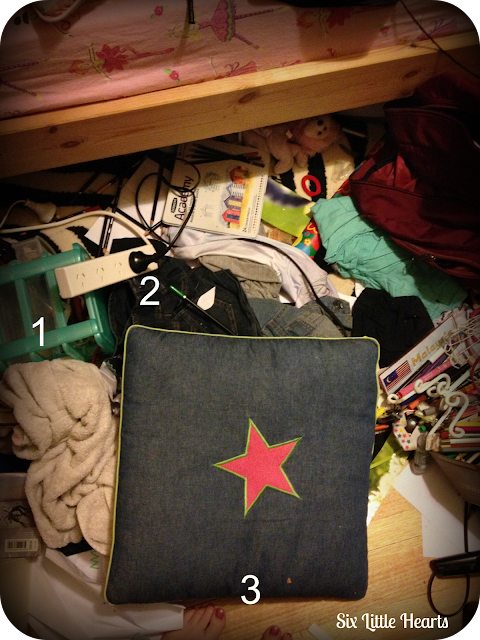 In hindsight, I wonder why her untidy things made me feel so stressed. At least it was clean mess! She was never a very tidy kid. She would empty boxes and baskets and forget the game she started out playing. Eventually the mess would distract and then overwhelm her and she would simply walk away and forget about it. Fast forward that same trait to now and apply it to a teen and it's a whole new experience altogether. Mess is no longer messy. It borders on filthy! I took these shots of her bedroom floor a few weeks ago before she finally caved in and cleaned it. I think the lack of area to walk, sit or even get dressed was the catalyst for change. I thought it might make a fun post for those of you who have very young kids who think times may be tough now! I am certain there are many of you who have much older kids who will think this is equally the least of my cares compared with what lies ahead! Whatever stage you are at with your kids, let's have a fun pick-over of my daughter's bedroom floor. 3) Dirty bowl! There's a 'no food upstairs' rule in my home. Somehow these appear in her room at regular intervals. 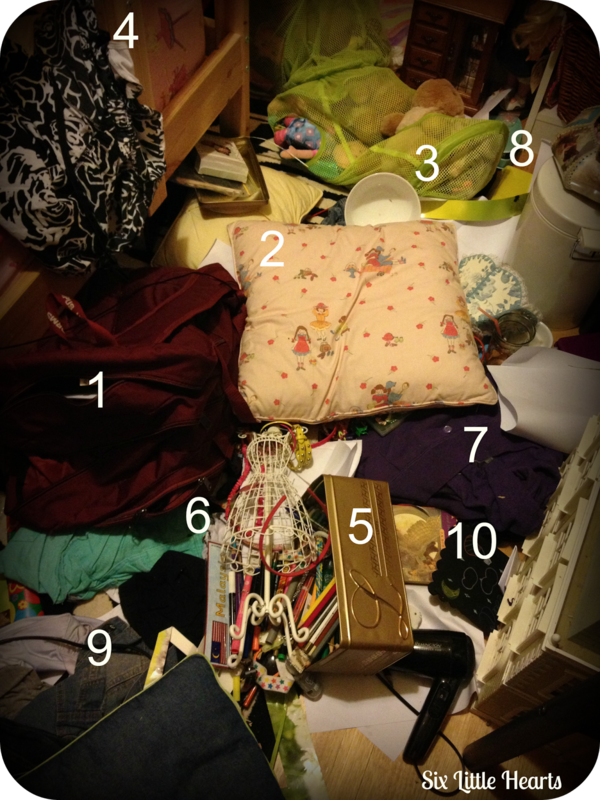 4) Clean clothing. Once clothing is cleaned, folded or hung, teenage girls get the urge to try their clothes on for no apparent reason. Often they change outfits several times a day. The discarded clothing ends up screwed-up and on the floor. 6) Jewellery mannequin (minus most of the jewellery). 7) Folded, clean clothing that she was meant to hang in her wardrobe or place in her drawers. 8) The waste paper bin. Either always empty (as the mess surrounds it) or never emptied. 9) Various items of clothing from the trying-on phases. 10) Paper items such as school notices, homework, drawings. 1) Wet towel. Usually several. 2) Power board - precariously placed and often overloaded! If there were a fourth picture here, it would feature the upstairs landing outside her bedroom. More towels, underwear, clothing and school uniform - all thrown on the floor every day. In case you are wondering why I don't clean it up (and I used to)...I raise my kids to be independent! A 13 year old is old enough to learn to care for her own possessions. Nagging and bribery work well on this age group! If she wants something, she works for it. Perhaps one day she will be taking this same picture of her own child's room. 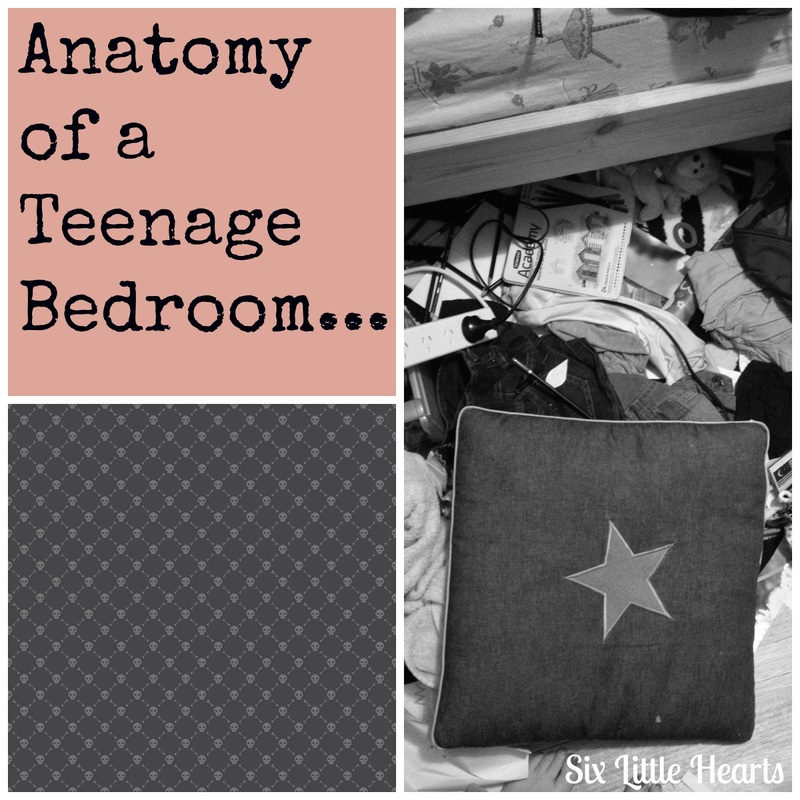 Do you have a teenager who lives like this? Tell me your story! 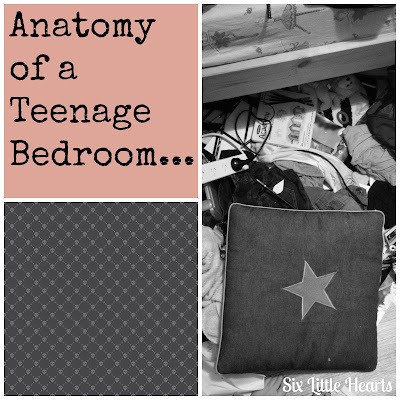 Are you dreading teenage mess if you are a parent of younger kids? If you had teenagers long ago - tell me when it gets better! 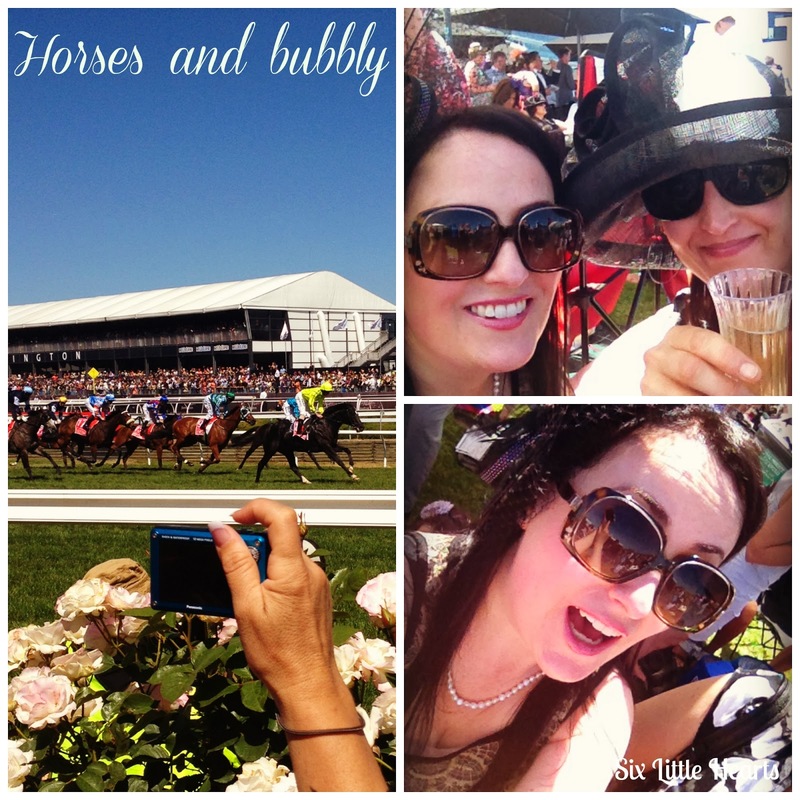 Our Melbourne Cup - The Highlights! This is my third and final follow up post on the series I have run on The Melbourne Cup. Since so many of you asked, I thought I would post some pictures of the big day out. We had a sensational time! There were last minute dramas with clothing choices. My heels had an issue discovered on Cup eve so I abandoned them. 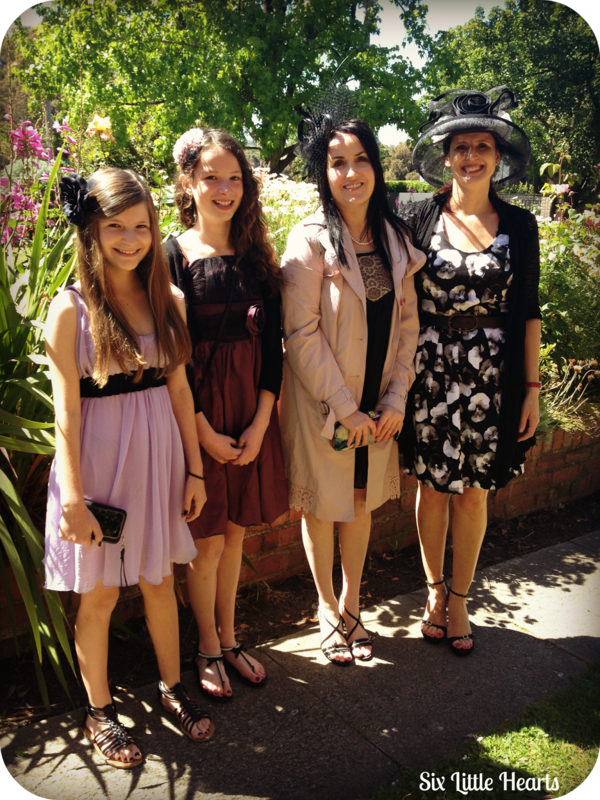 Then on Cup day itself I awoke to full sunshine and changed dresses too! I ended up wearing a black chiffon shift dress with a lace taupe overlay feature. 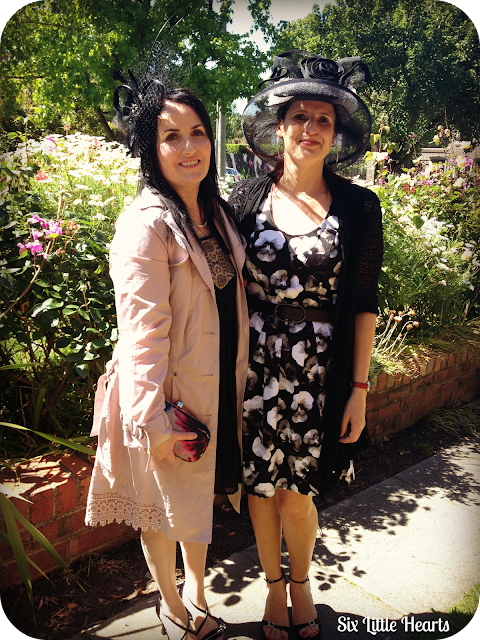 It was a perfect match to my fascinator and shoes in the end. Thank god for sales! I have a mini clothing boutique in my wardrobe of shoes and dresses just for occasions such as the Cup - all scored with massive discounts and many items still have the tags on! (Not sure if I should mention that! Own up! I know you are the same too)! 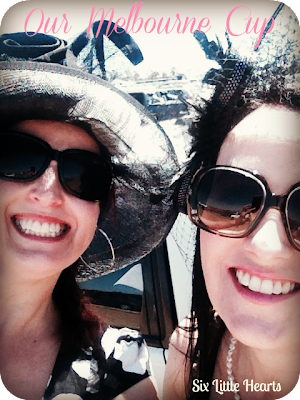 Me and my darling friend Helen! We arrived around lunchtime at Flemington Racecourse after stopping by Helen's to take these lush snaps of us dressed for occasions we don't get to attend often enough! Such a gorgeous picture of our girls - Indiana and Paris. 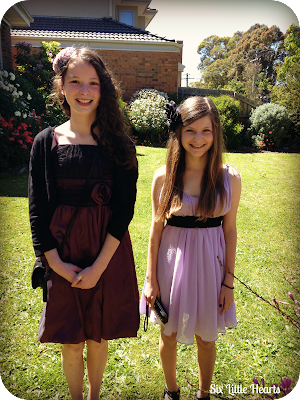 They were so excited to be attending their first Melbourne Cup together. They spent the day claiming they were 'bored!' Once home, Indiana said she had fun! The Cup was sensational! We settled ourselves by the rails on the lawn near fantastic views of roses and galloping horses. Much of our day was spent people watching though! So many incredible outfits on the ladies. Even the men looked fantastic in their vests and trilby hats. The weather was stunning - not a cloud in the sky. Every imaginable colour was worn by the women and some of the men too. Countless beautiful hats and fascinators, enviable gowns, shoes and bags. It was so impressive to see Melbourne's fashion taste on display. Naturally we sipped Yellowglen and toasted the occasion. What a great atmosphere! To top off the day, our horse WON! Yes, for the second time only in my life, (and the first time for Helen), I picked a winner (Fiorente) and won myself $37.50! WooHoo! Indiana has a natural smile! That's THE Melbourne Cup race right there! Truly it is - I was there! How did you spend your Cup Day? 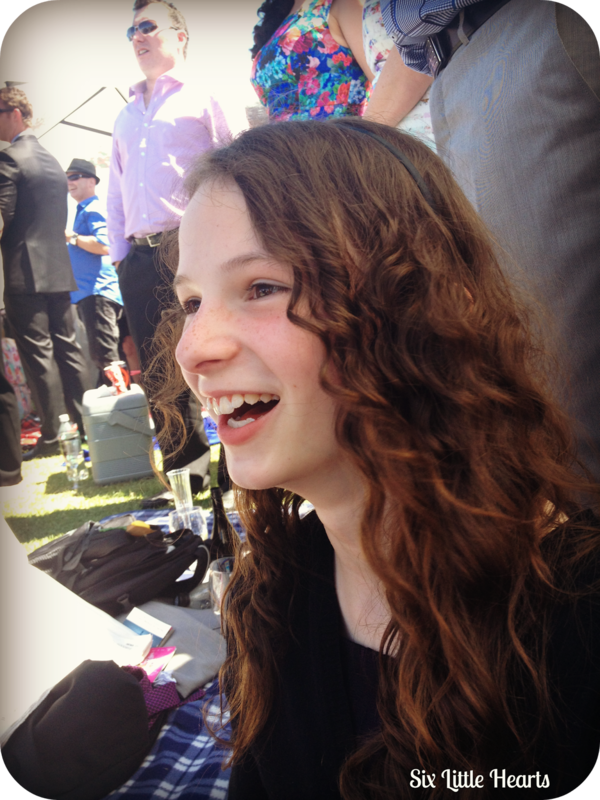 As you read this, I will be at The Melbourne Cup! Yippee! 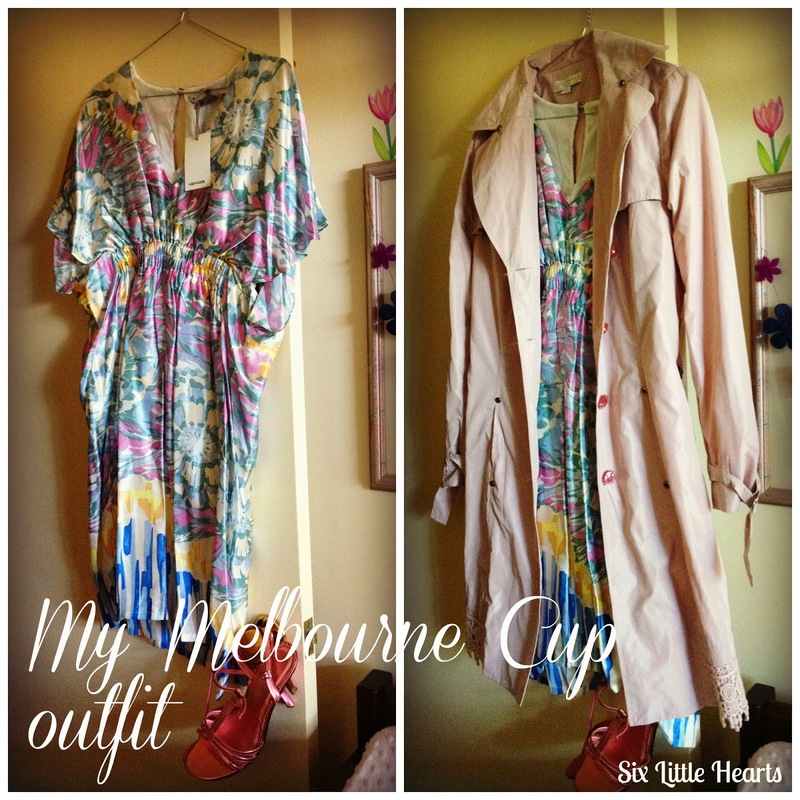 This post is a little bit of a ramble through my wardrobe choices. Excuse the muttering...it really reflects what I have been going through trying to co-ordinate a well-deserved day out for myself minus five of the six kids! Even baby is staying home today. So much thought and effort has gone into this spectacular day out and I am very excited to be attending. (Make that in attendance). Despite my initial outfit choice in an earlier post, I made a different selection in the days prior. (That's what we girls do right)?! It's an all-silk, knee-length dress with a draped back, v-neck front and flutter sleeves. It is loose fitting and perfect for a breastfeeding Mom out for a day at the races! I have teamed it with this pretty pink champagne trench by Boo Radley which has lace trim and crystal buttons. It's a spot-on match with the dress and my insurance that I will be comfortable in Melbourne's unreliable climate. On my feet I will wear these pastel pink metallic heels which match all beautifully don't you think? Since writing this post I have discovered the heel tip has broken off one of these shoes! Now I must find a new pair urgently this morning! 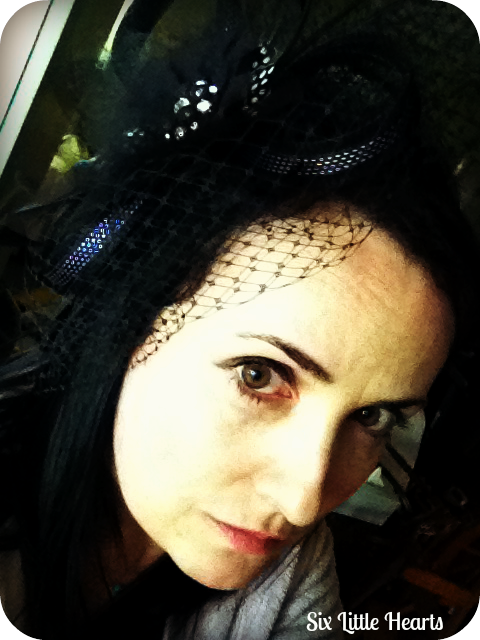 I will be wearing the very same fascinator I originally intended to wear. Black is not the first choice I would have made had I decided upon this outfit earlier. Since it cost a pretty penny though, I am wearing the thing regardless! Given that I am brunette, it matches my hair perfectly anyway! I will be carrying a cream Oroton clutch. This matches the dress and the highlights in the hairpiece. Hopefully it will all come together. Today will be my daughter Indiana's first time at the races. My friend Helen and her daughter Paris (also 13), are joining us. It will be the ultimate girls day out! Wherever you are today on this Melbourne Cup Day, I hope you have a great day. May the best horse win, and may it be one that I have backed! (Must re-coup the cost of that fascinator)! What horse/s are you backing today? 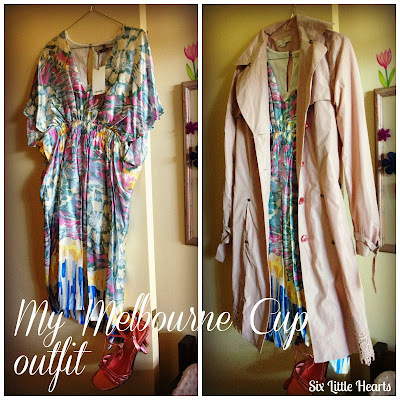 What would you wear to The Spring Racing Carnival? For my race day winning* picks, check out my previous post The Melbourne Cup. * I accept no liability for my picks not winning for I am far from trained in selection methods! Follow my blog on Facebook like all the cool people do!